Our 2x3 Safety Spotter Arms are created with 11-gauge steel, they have UHMW Plastic Liners to protect your bars from being damaged. Our 2x3 Safety Spotter Arms are compatible 2x3 rigs with 5/8" hole diameter. 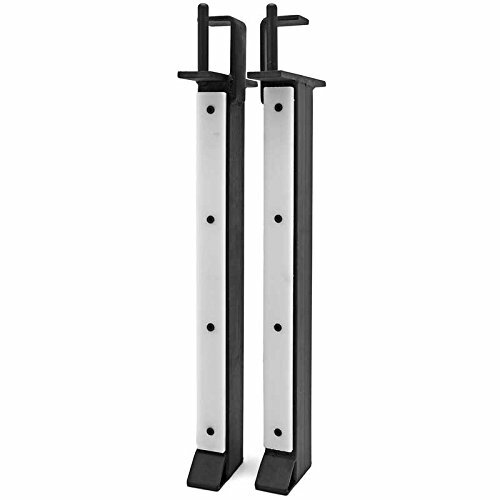 These are perfect for weightlifting in your garage gym or facility without a spotter. Perfect for back squats and bench press which can be adjusted to match your height requirements. Perfect for back squats and bench press which can be adjusted to match your height requirements. These are perfect for weightlifting in your garage gym or facility without a spotter. UHMW Plastic Liners to protect your bars from being damaged. 24" long with 22" of usable space for each spotter arm. 1,000lb weight capacity for the pair. If you have any questions about this product by Fringe Sport, contact us by completing and submitting the form below. If you are looking for a specif part number, please include it with your message.